How To Drive Traffic To My Website Fast! Your internet success is determined by whether or not you know how to drive traffic to the website of your choice. Without traffic, there is no advertising revenue, affiliate revenue, or purchases being made. There are a number of methods to drive traffic to the website that won’t cost you any cash, but may cost you a little time. Let’s take a look at the top methods right now! The first step in this process is discovering what your visitors will find to be valuable. Without value, there will be no clicks coming your way whatsoever, no matter what method of traffic generation you choose! Much of the traffic on today’s internet is geared toward content marketing in some way, so ask yourself one question: if you were looking at this stuff on another website, would you take a few minutes out of your day to actually go through it? If you wouldn’t, then why would anyone else? 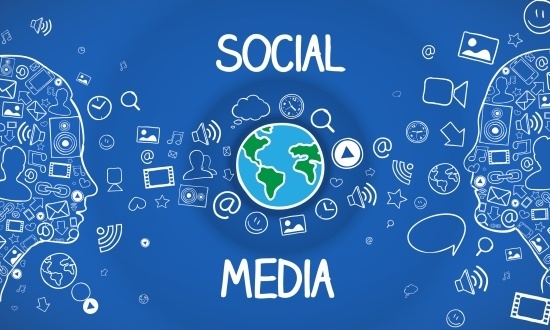 To drive traffic, you’ve also got to have enough value where people will share your website. If you wouldn’t normally share what you’ve created, then you’ve got a problem. Driving traffic to my website through the use of forums was one of the best discoveries I ever made. I had always ignored the forums in the past because many of the discussions I’d find on them seemed to cover multiple subjects instead of just one. Then one day someone posted a link to one of my websites in a forum and my traffic levels on that site literally exploded! That one link nearly tripled my traffic by itself for over a month! Can you imagine what multiple links in multiple forums could do for website traffic if they were spaced out over time? generate organic traffic to your website. Why is the generation of organic traffic a key to success? It’s all about the CTR. Websites that just want numbers to their site will get a 2% CTR at best. Organic traffic can be 10% higher in every category because you’re getting people to your site that really want what you’ve got! Join a few top forums in your niche! There are millions of dead blogs on the internet today. They are the good ideas of days gone by that were never fully realized and now they sit in tribute to these failed concepts. Most blogs fail for one specific reason: a lack of overall content that was found to be valuable. It’s easy to get burned out from blogging, but that’s because there are a lot of people who try to blog every day. You don’t have to put up a blog post every single day! You’re not a news site, are you? It is more important to get onto a schedule of posting so that your subscribers can know when to expect more valuable material from you. It really can be just twice per week, once per week, or even once per month! It doesn’t just stop at your blog, however, if you want to know how to drive traffic to the website of your choice. Finding a way to guest blog on some similar sites is a great way to promote ethical link-building opportunities, gain further exposure, and even cross-promote. How can you become an active guest blogger? Well… you could be the CEO of a major tech organization and have people clamoring to have your ideas OR you could offer to write someone’s content for them. No matter what the schedule for blogging happens to be, there’s a good chance that the person responsible for a blog in your niche is looking for a day off from their content creation duties. Offer that opportunity, get a link in return, and you’ll begin to drive traffic. Remember to post articles and comments only on authority blogs with hight traffic. Don’t waste your time on other blogs. When Was the Last Time You Commented On a Blog? A Social Media Site? Knowing how to drive traffic to my website is a lot like knowing how my grandfather used to encourage customers to stop at his gas station in rural Nevada in the 1950’s. People have choices all around them and it isn’t just about providing a valuable resource because if you’re doing it, someone else is likely doing the exact same thing you are. What you’ve got to do is foster a relationship! Now my grandfather would foster relationships with a genuine smile, a handshake, and a helping hand if it was needed. His word was his bond and people knew that, respected it, and wanted to do business with him because they trusted him. That’s why he could charge more than the gas station across the street and still have double the customers! On today’s internet, the blog comment, social media engagement, or forum conversation is the equivalent of that smile, handshake, and helping hand. When you comment on someone’s post in a genuine way, you’re indicating to the author of that post that you genuinely care about what they had to say! You’ve got to go beyond the trolling posts that are typically going to spam out and never be posted. Read through the post, the status, or the forum page and offer genuine feedback. In return, you’ll likely get the chance to leave a link that will give you another opportunity to build traffic. The average marketer today is trying to do all of these things, but they’re trying to do it in a fast, fairly unethical manner. From article spinners that attempt to fool a search engine’s crawlers into believing new article was created to paid link-building and paid reviews or commentary, the reason why most people don’t drive a lot of traffic to their websites is because they’ve been flagged as someone who is trying to game Google. Just don’t do it. Once you get noticed, you’re toast. The search penalties are severe and there’s a good chance people will disavow any links that you have worked to generate! That’s why so many say that the key to success is to always produce good content. It takes a lot of time, I know, and it doesn’t always seem like that time pays off. That’s because most people who are looking to drive traffic to a website think in terms of days, weeks, or months. You’ve got to think in the long-term to find success. The longer that you’re active on the internet, producing consistently good content for yourself and for others, the more likely you are going to get noticed in organic searches. To enhance this effect, focus on keywords or subjects that are considered to be long-tail keywords. These niches are where you can generate expertise and where there is expertise, there will always be more traffic headed your way. Is it more important to get 2 out of every 100 searches for a major keyword? Or would you rather get 9 out of every 10 searches for a minor keyword? And if you don’t know which keywords are profitable and which of them will give you high rankings in Google, please check this tool. I’ve been using it myself for a few months now, and it’s awesome. It’s the best keyword research tool I have ever used. Remember also that you do not have to create the articles yourself. 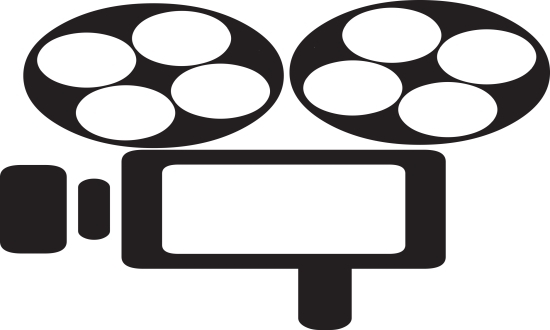 Millions of people visit YouTube every day, it’s the second most visited website after Google. Create a video. Use the keyword you are targeting in the title of the video, use it in the description below the video (don’t forget about the links to your offer or to your website) and create the right tags. It’s as simple as that. It may take some time to create a video (it usually takes me a few hours), but I assure you that it’s worth it. It is free traffic, so why not do it. Driving traffic to the website of your choice is just the first step in the process. You’ve also got to keep the traffic on your website, looking at different pages, for Google to really begin to love you! When people look at just one page and say, “Huh, wish I hadn’t clicked on that!” and go somewhere else, that’s a bounce. The percentage of traffic that does this every day is called your bounce rate. You’ve only got one page on your website. You’ve got content without value on your website. Your content doesn’t associate well with the associated search engine results. It’s easy to fix a high bounce rate! Just shift your content so that it better matches up with what people want. Don’t bait them into clicking links because that’s just going to make you come across as a scammer. Instead, make sure you have multiple pages of value and that this content matches up with search expectations. When you can do that consistently, you’ll be well on your way to driving traffic to any website you own! Web traffic can be increased by placement of a site in search engines and purchase of advertising, including bulk e-mail, pop-up ads, and in-page advertisements. 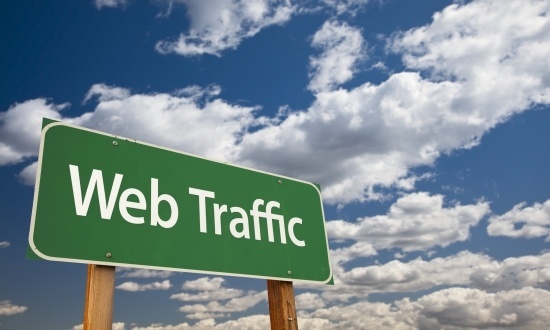 Web traffic can also be increased by purchasing through web traffic providers or non-internet based advertising. Knowing how to drive a lot of visitors to the website of your choice will help you find the greatest amount of success on the internet today. Utilize these tips in your own content building efforts, make sure that you’re fostering relationships on every platforms, and don’t ignore the forums. The more efforts you make, the greater the relationships and expertise you’ll convey. The best part? You won’t have to spend any cash whatsoever to do any of this! Of course you can also drive traffic to your website by paying for it. In this way you will build your subscriber base quickly. All right, that would be it for today. I hope you will find this article helpful and soon you will start to get more visitors to the website of your choice.